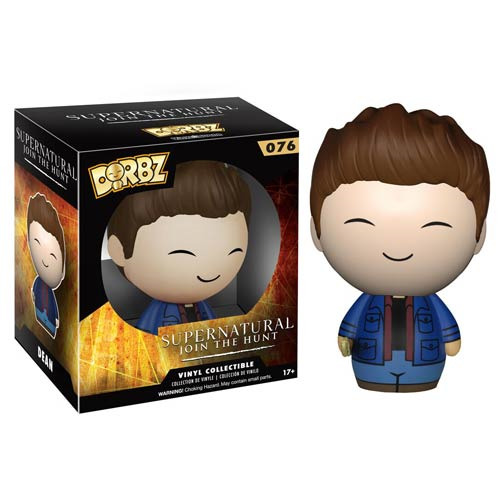 Your favorite characters from Supernatural get the cute Dorbz treatment! This Supernatural Dean Dorbz Vinyl Figure features the Winchester brother holding a demon-killing knife. This figure stands about 3-inches tall and comes packaged in a double-sided window display box. Ages 17 and up.